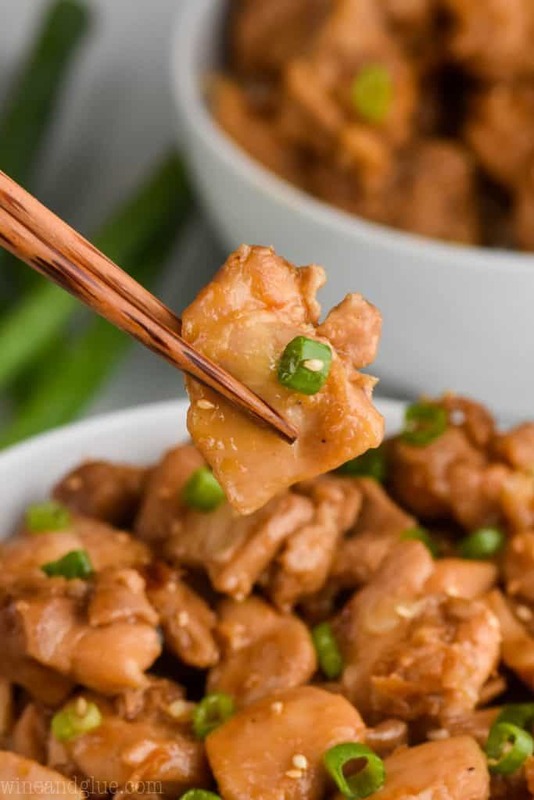 This Bourbon Chicken Recipe is going to be a new go-to for your family. 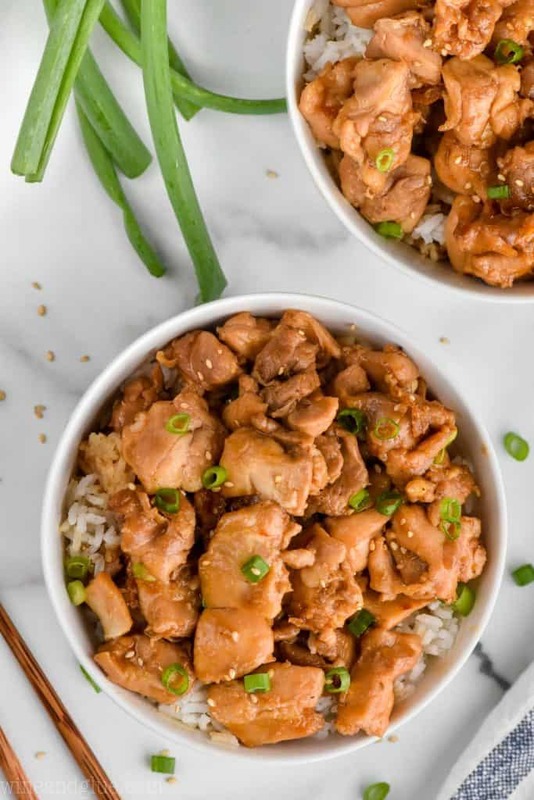 With its delicious bourbon chicken sauce and how easily it comes together, your family is going to ask for this again and again. 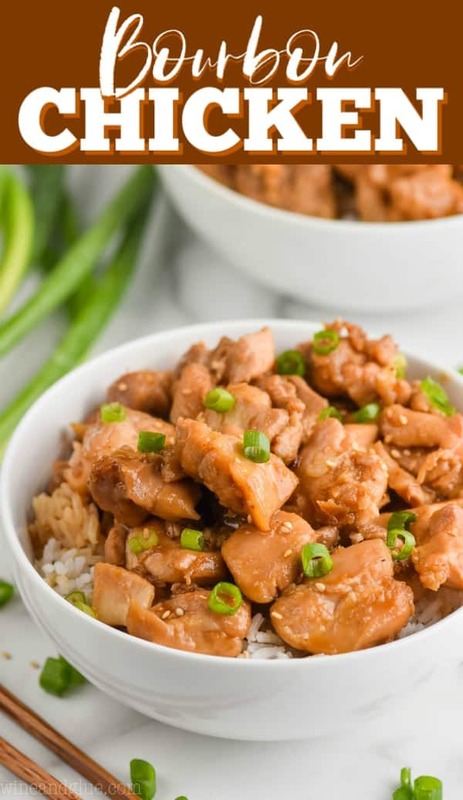 If you are craving bourbon chicken like the food court, make this recipe! 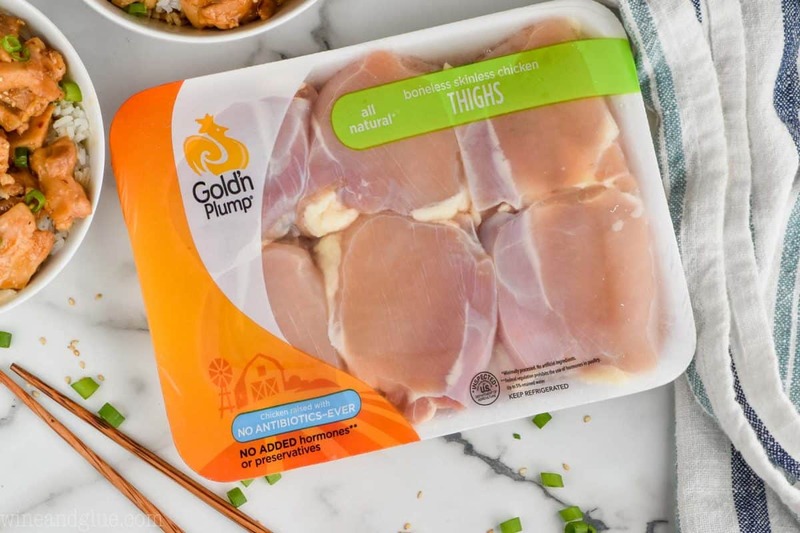 I am so excited to be working with Gold’n Plump® to bring you this amazing and delicious recipe using their boneless skinless chicken thighs. With three kids in school this year and seven (SEVEN!) activities between them, we have been finding that we REALLY need to be on our A game and on our toes. Like all the time. Always. To make the best Bourbon Chicken recipe, you first need to start with the very best chicken. 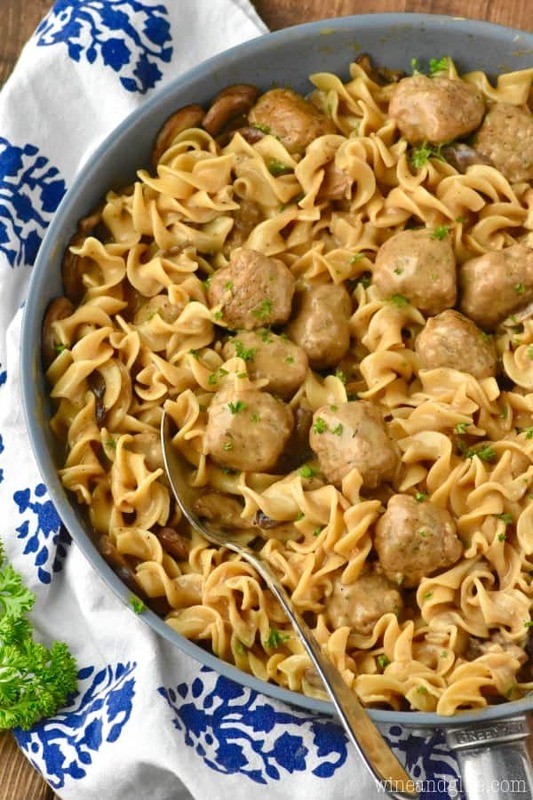 I made this recipe using Gold’n Plump’s boneless skinless chicken thighs. 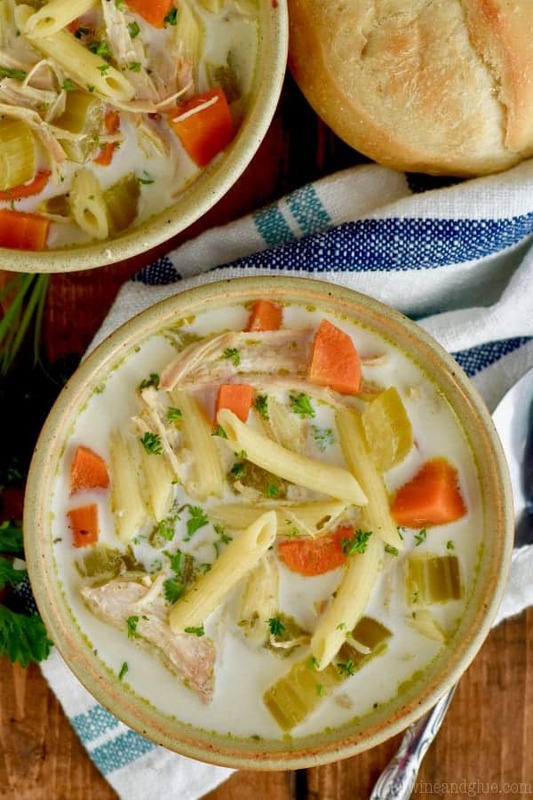 They are incredibly tender and stay so moist during the cooking of this recipe. I love using Gold’n Plump Chicken because it always holds up best in my recipes and stays perfectly tender no matter what recipe I’m making. I also love that their chickens are raised on family farms in Wisconsin and Minnesota (sweet words to this Midwestern girl’s heart) and they are all natural and raised without any antibiotics, ever. The chicken thighs are cut into bite-sized pieces and lightly coated in corn starch. Then they are fried in just a little bit of olive oil in two batches to give them a nice crispy texture. There is a small known fact (or maybe story) that the name for this dish actually comes from the street, Bourbon Street, and not the liquor. But adding Bourbon to this sauce gives it such a delicious flavor, that I ran with it. 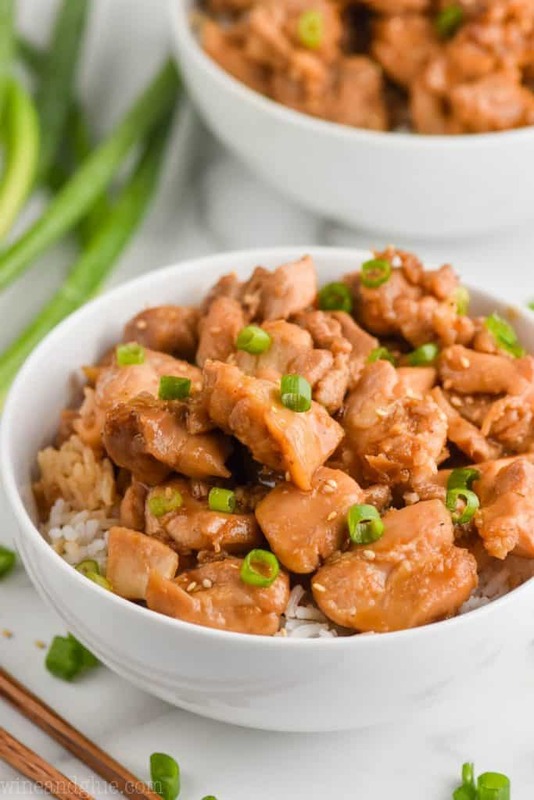 However, you can easily make this bourbon chicken recipe without alcohol. 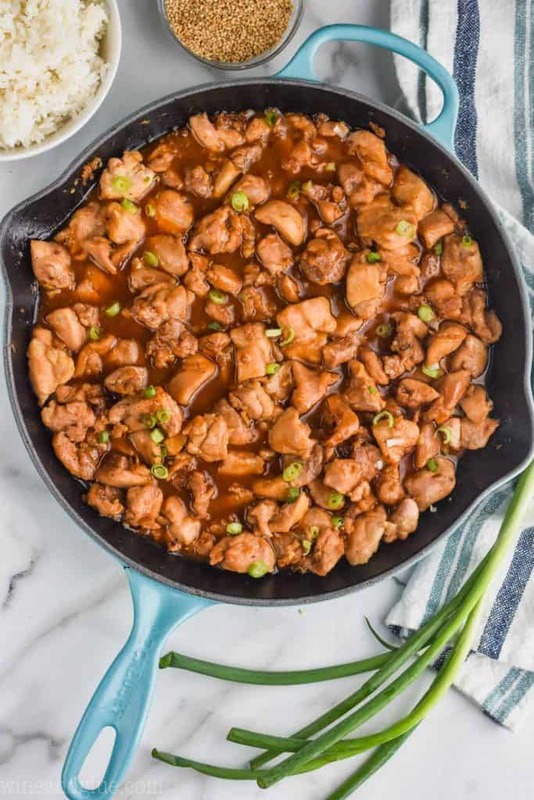 HOW DO YOU MAKE THIS RECIPE FOR BOURBON CHICKEN? 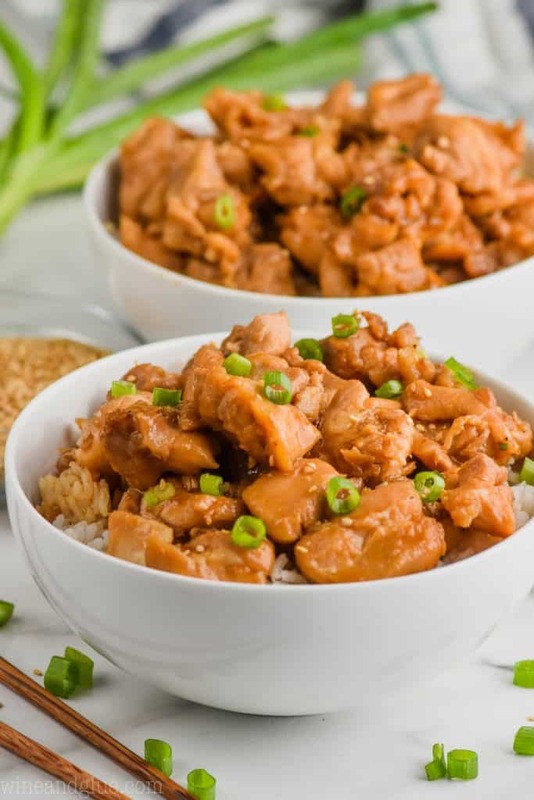 Cut the Gold’n Plump Boneless Skinless Chicken Thighs into bite-sized pieces and coat with seasoned corn starch. Brown in batches and remove from the skillet. Add the ingredients for the sauce to the pan, gently whisking together and bring to a boil. Add the chicken back to the pan and cook for 20 minutes. Serve over rice and enjoy! 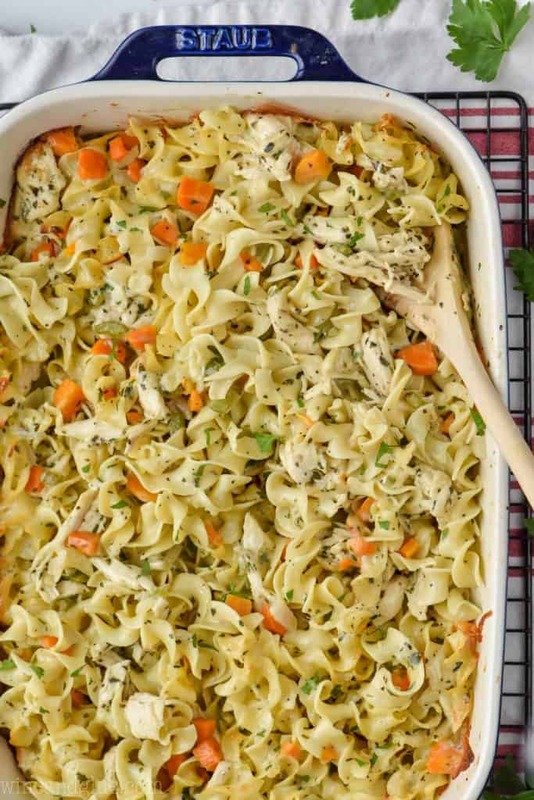 OTHER CHICKEN DISHES YOU ARE SURE TO LOVE! Baked Honey Garlic Chicken Thighs – Another great easy dinner! 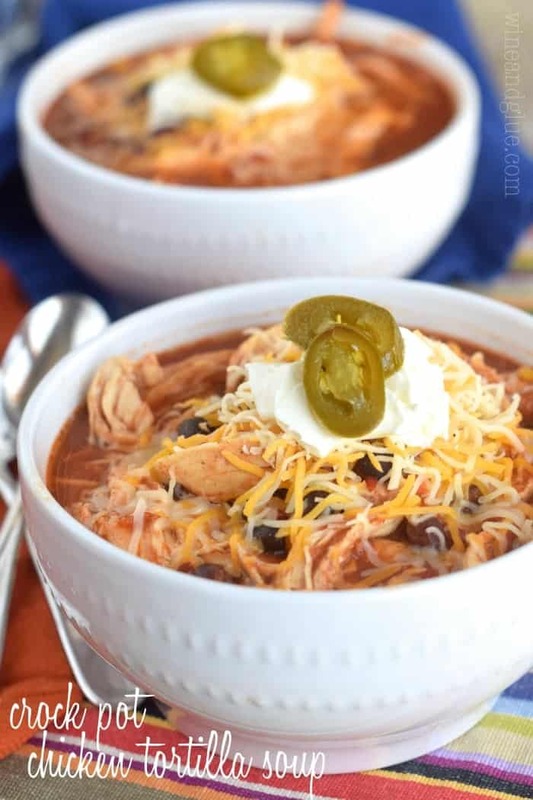 For more amazing chicken recipes make sure to follow Gold’n Plump on social media! You can find them on Facebook, Instagram, Pinterest, and Twitter. Cut the Gold'n Plump boneless skinless chicken thighs into bite sized pieces. Place in a large bowl. Set aside. In a small bowl, combine the corn starch, salt and pepper. Add it to the chicken thighs and toss to combine. Add the chicken and cook three minutes on each side. Cook in two batches. Remove the chicken from the skillet and set aside. The chicken needs to only brown, not cook through. Add the remaining ingredients to the skillet, scraping up any browned chicken bits. Whisk the sauce together and bring to a boil. Return the chicken to the pan and toss it with the sauce. Let the chicken and the sauce simmer for 20 minutes. While the chicken is cooking, make some rice. 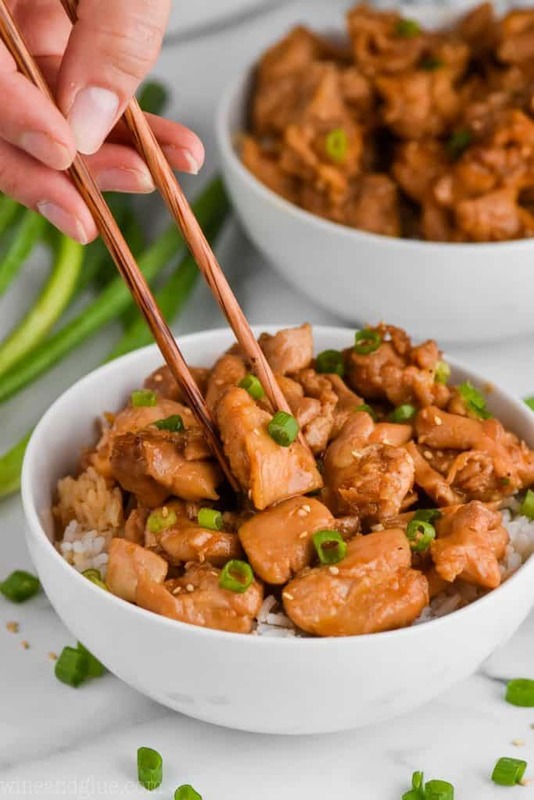 Serve the finished chicken over rice and garnish with scallions and sesame seeds. Enjoy! 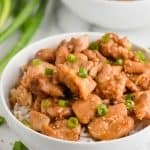 For the Bourbon Chicken recipe, can I use boneless, skinless chicken breasts instead of thighs? My family only likes white meat? You can! The taste might be a little different, and you might have to alter the cooking time so it doesn’t dry out, but it will still be delicious!